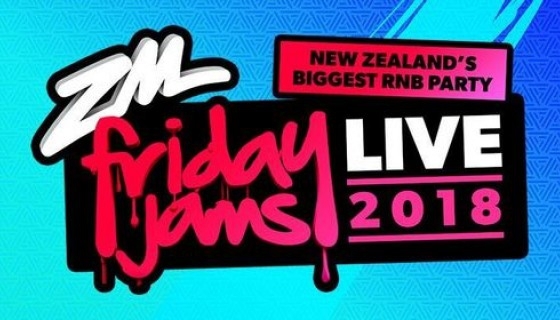 Friday Jams Live - The party of the year - is back, bigger and better than ever. It’s the biggest RNB event that New Zealand has ever seen. Illusive Presents, Frontier Touring and ZM will present some of the most acclaimed names of RNB on stage this November, for a monster show only at Western Springs Stadium. This year the Friday Jams Live party scales up to the far bigger venue to host this colossal line-up and overwhelming demand from fans. Yep, this year is serious. Exploding on the scene last year, Friday Jams Live delivered an unforgettable night of epic proportions. The party atmosphere was electric. This year, Western Springs Stadium will be transformed into the biggest party Auckland has ever seen, with over seven tantalising hours of live performances. Don’t miss your only chance to watch these stars perform their hits live all on the one stage!